We know that as you learn more about us, you’ll find that at the office of William T. McMaugh, DDS, we set the highest standard for excellence and quality dentistry in the Harleysville area. We are proud to utilize the most up-to-date dental technology and treatments to provide you with a comfortable, stress-free dental experience. Dr. McMaugh has over 30 years of experience treating adults and children alike. He truly enjoys helping others and believes that the best dental treatment combines a personalized approach with science and an eye for artistry. We are committed to building strong, collaborative relationships with our patients—we’re here for you! Our team is proud to offer restorative and preventive dentistry for adults, teens, and children. You don’t have to see multiple dentists to get comprehensive care for your entire family. We are happy to handle all your needs in one convenient and comfortable location. 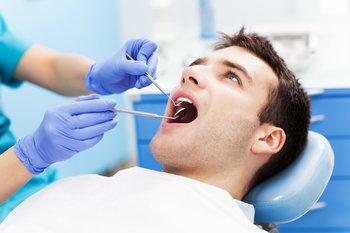 From preventive treatments to porcelain crowns and root canals, we’ve got you covered. We know how important it is for you to feel that your children are being cared for by compassionate professionals. Dr. McMaugh and our team love working with kids and are skilled at building their confidence so they develop a positive attitude about dental treatment. Procedures like root canals and tooth extractions may not be something you like to think about, but both are necessary for preserving your oral health. Our compassionate team of professionals respects your concerns and will do everything possible to make sure you are completely comfortable. If you’re bothered by cosmetic flaws, we can transform and refresh your appearance with aesthetic dental treatments like teeth whitening and tooth-colored fillings. Our porcelain crowns and bridges restore your smile while improving your oral health. You may be surprised to see just how easily you can achieve your dream of healthy, beautiful teeth! Tooth loss does not have to cause you embarrassment and impact your lifestyle. We can help you choose from tooth replacement solutions like dental implants and implant-supported dentures. You’ll be happy to know that Dr. McMaugh has the training to handle the entire implant process from start to finish right here at our Harleysville office. The first time you visit our office you will be welcomed by a caring team who treats you like a member of the family. We excel at building long-term relationships with all our patients to deliver the personalized, quality care you deserve. As you get to know us, you will see that we are focused on meeting your needs in the most convenient, comfortable, and effective ways possible. We know you’re busy; our flexible hours allow our patients to schedule evening appointments to fit their schedules. If you need emergency dental treatment, we’re always just a phone call away. Please call to arrange an appointment with Dr. McMaugh and his staff. We are here to understand your goals and to offer you the options that are most suited for your specific case. We can't wait to meet you and help you develop the healthy, radiant smile that you deserve!